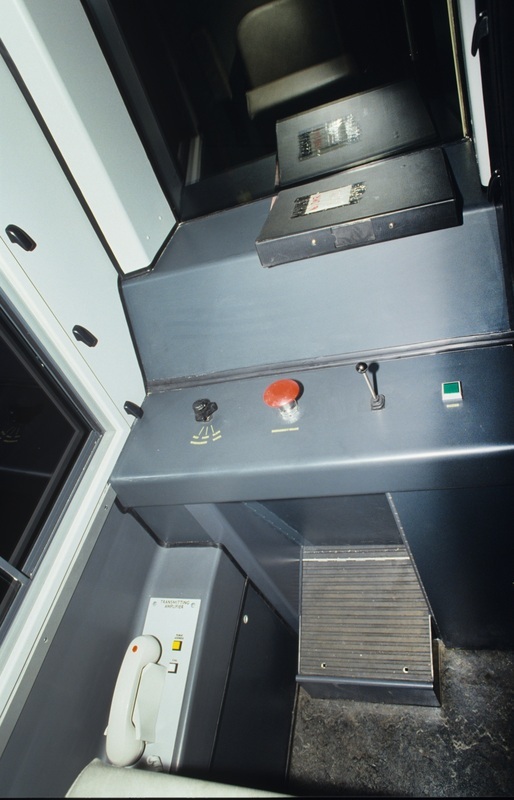 30: Brake controller, 31 Direction switch, 32: Master key socket. 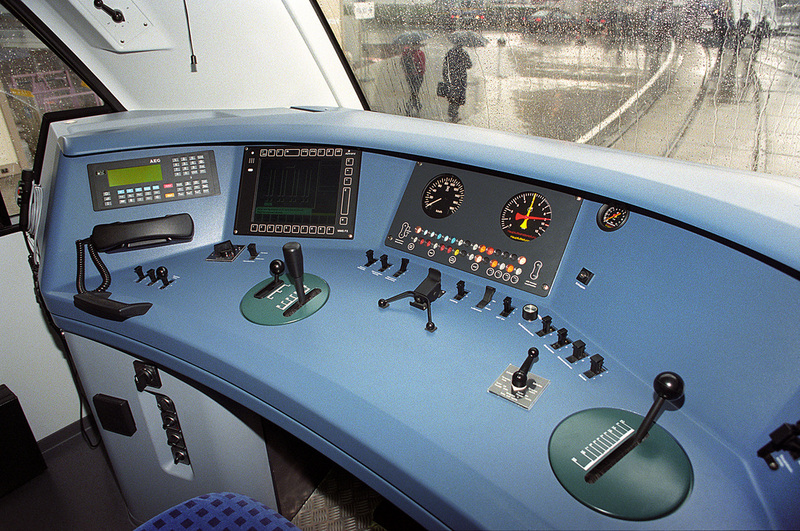 33: Main speedometer. 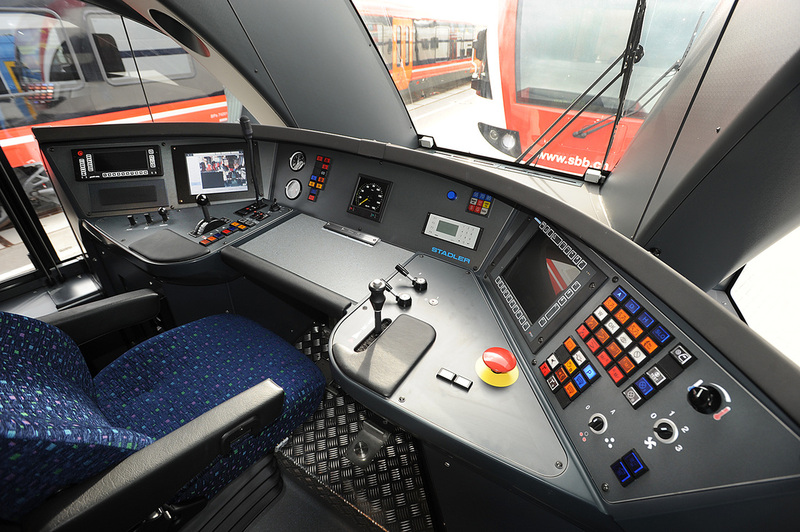 Above: Stadler Rail GTW2/8 S-Bahn set as operated by Graz-Koflacher Bahn und Busbetrieb (GKB). 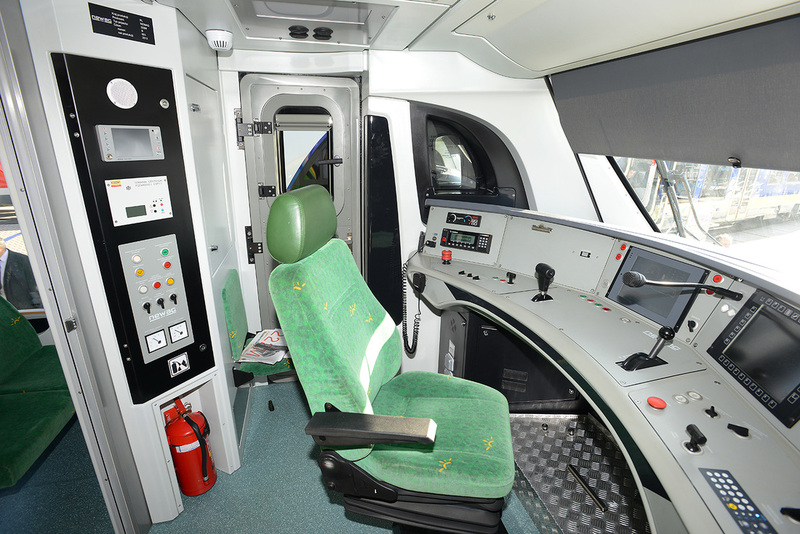 Above: Newag-built Class 222M for use in Poland around Warsaw. 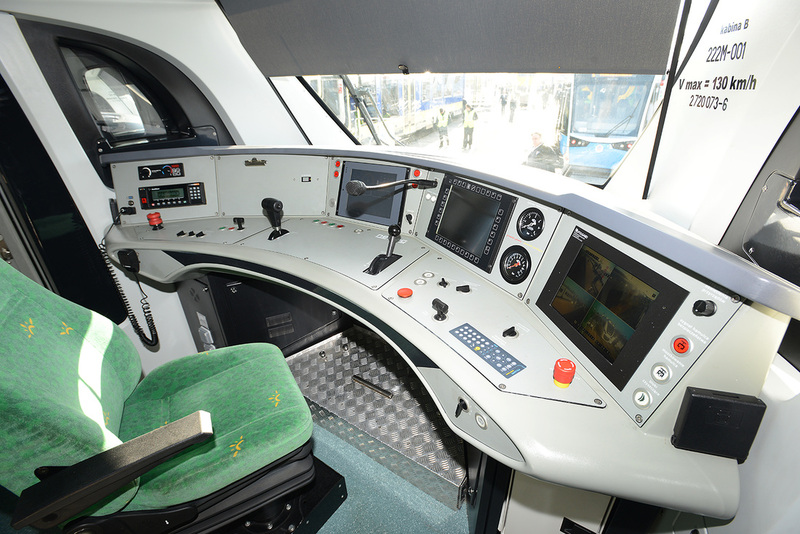 Above: Alstom 'Coradia' Lint 54 DMU. 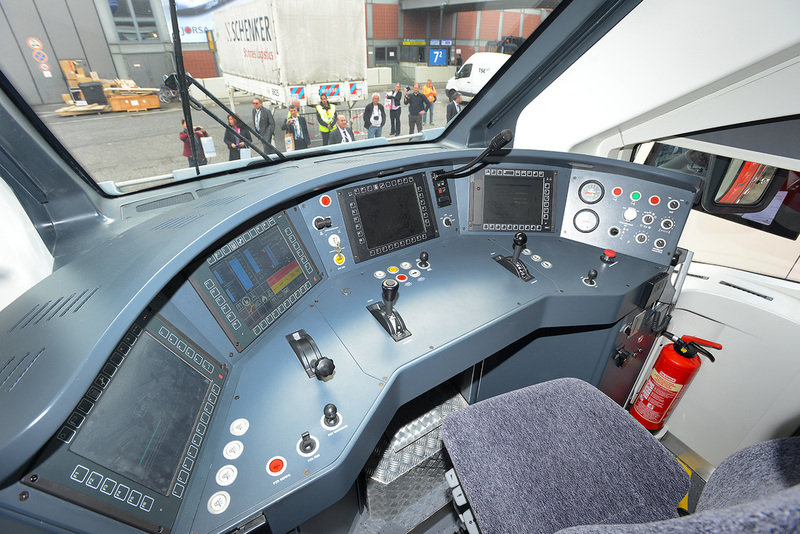 Above: Pesa built Class 631 'Bubble-car' for DB. 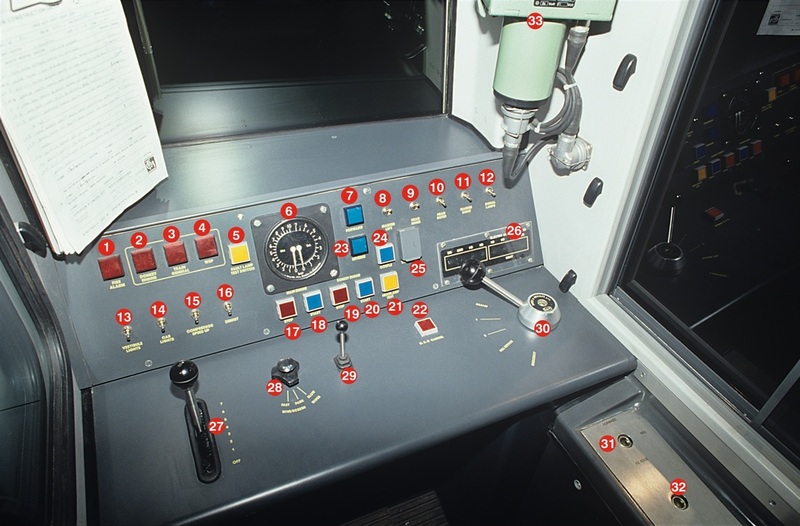 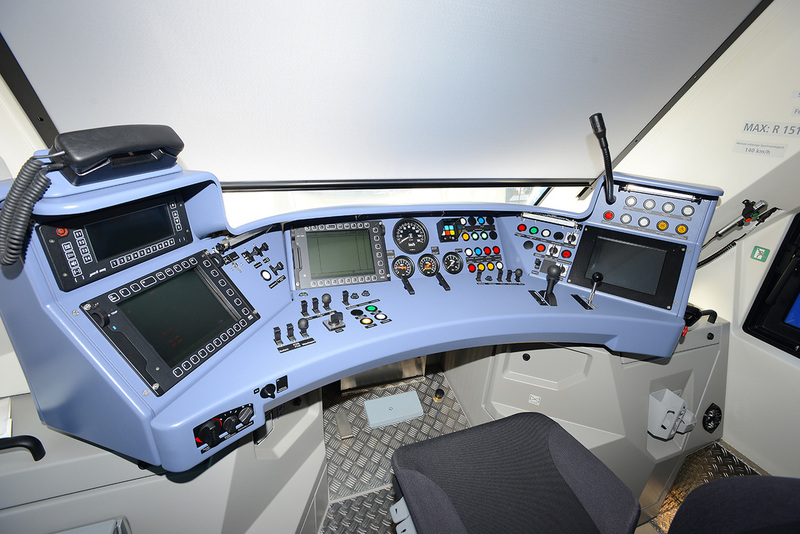 Above: AdTranz Class 612 No. 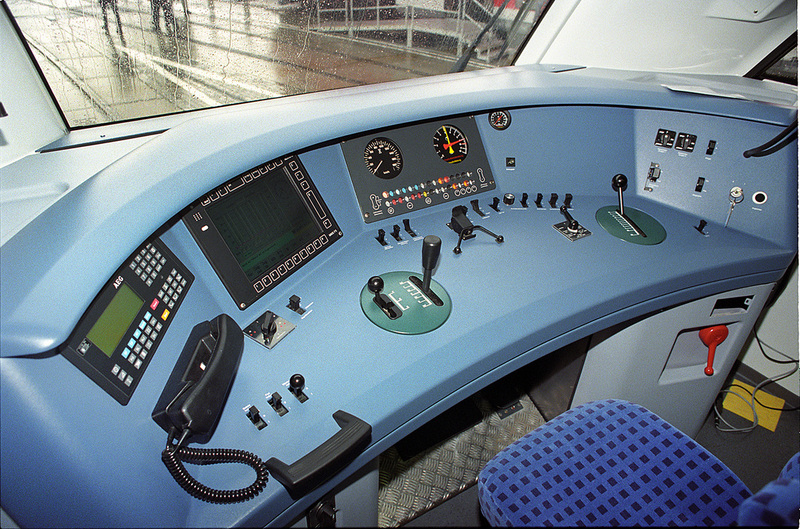 612 001 for DB.